– Help spread the word about #GivingTuesday on Social Media. 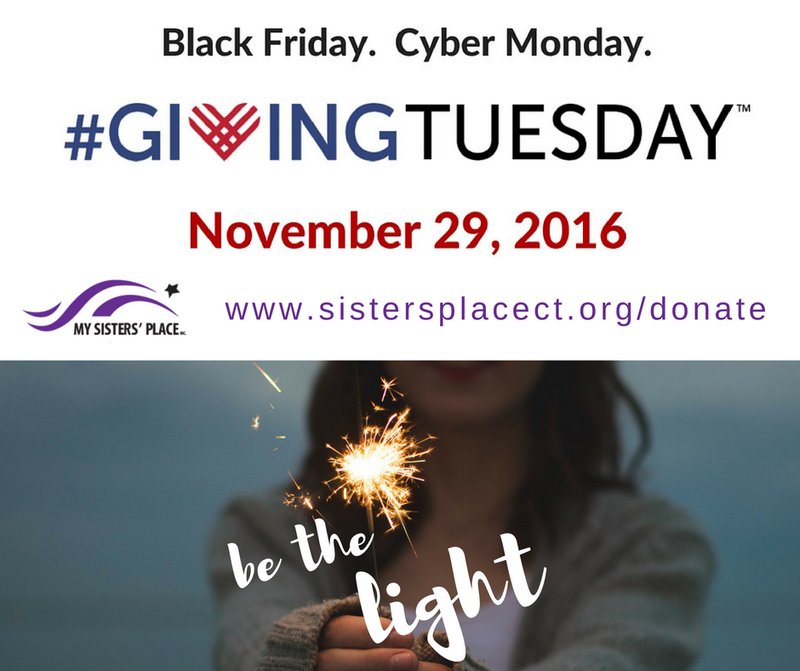 Use the hashtag #GivingTuesday when you Tweet, Facebook, Instagram or Snapchat about your plans to support My Sisters’ Place on November 29. – Get your friends, family and coworkers involved in #GivingTuesday. Encourage them to make a pledge to support My Sisters’ Place and to join you in spreading the word. – Check to see if your workplace will match your #GivingTuesday donation. – Visit www.givingtuesday.org/join to receive updates, event invitations, and the latest graphics and tools to share on your social channels.